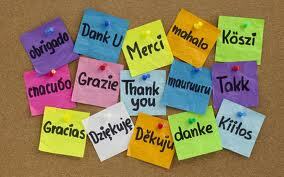 Gratitude is a HUGE part of Magicality and attracting things into your life. Without gratitude, the whole process doesn’t work. With gratitude, however, you are able to attract more and more things in your life to be grateful for. One of the habits that I have developed over the years is journaling what I am grateful for. I do this every day and at least 5 things a day. 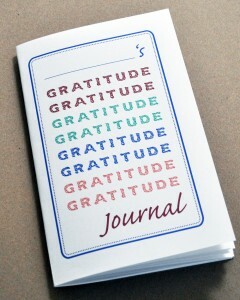 As I journal, I think of what makes me truly grateful and I allow the feeling of gratitude to overcome me. Even if it’s just for the air I breathe or the food on my table, I journal it. You will always be able to find something every day to be thankful for. 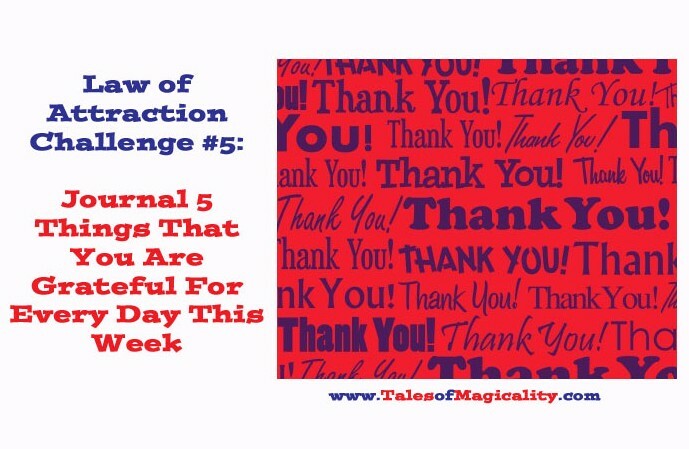 This is why this week’s challenge is to Journal 5 Things That You Are Grateful for Every Day This Week. It literally only takes a few moments every day to complete this exercise. You can write it down using the traditional paper and pen method or perhaps use a computer or your phone. If you have a smart phone there are so many apps for this. I actually use an app called Gratitude Diary, which you can download for free as well to journal your gratitude. Whatever way you choose, make it comfortable and work for you. This should be something you enjoy doing. Look at it as an opportunity to attract more into your life and remember to do it every day.